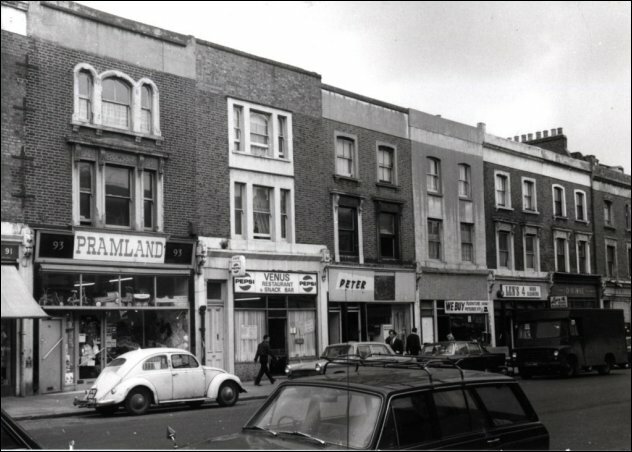 The Royal Borough of Kensington and Chelsea’s local studies librarian Dave Walker recently posted a fascinating two-part piece about Golborne Road shops on the weekly Library Time Machine blog. The first part of the post looks at photos from 1969 and 1970 and the second part publishes photos from 1997 and 1998. In the first piece, Dave uses photographs from the Borough’s archive. 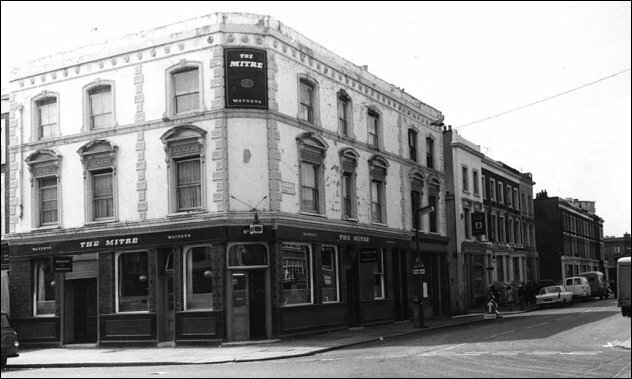 He turns up shots like the one below of the long-lost pub at the corner of Wornington and Golborne Road, closed in 1972 after a fire. Today, this is the site of the ever-popular Café O’Porto. The second article uses photographs taken by Brian Rybolt, who at the time he took them was teaching photography at Kensington & Chelsea College on Wornington Road. 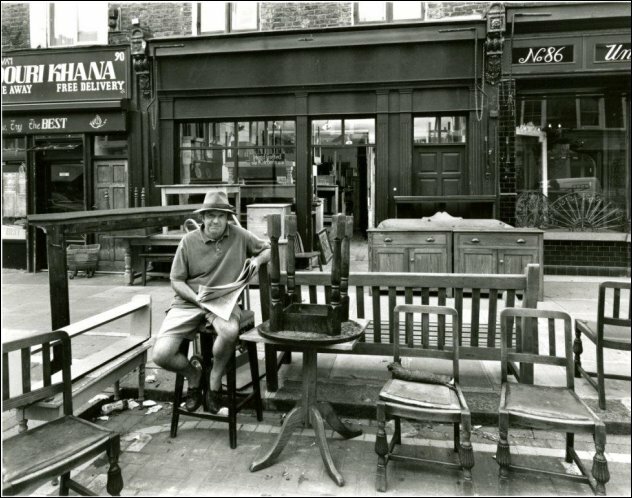 The one below shows Dave Lucas in front of his shop at 88, Golborne Road in 1990. Dave is still there today.